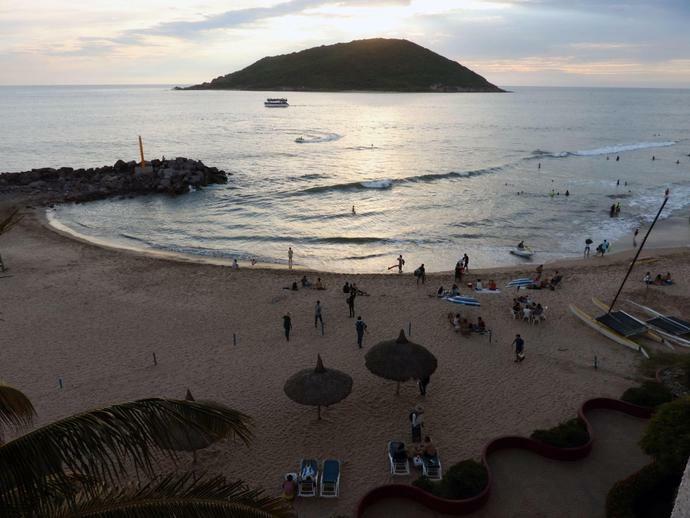 MEXICO CITY (AP) - A potential catastrophic Hurricane Willa swept toward Mexico's Pacific coast with winds of 145 mph (230 kph) Monday night, threatening a stretch of high-rise resort hotels, surfing beaches and fishing villages. The hurricane was expected to pass over or near the Islas Marias - a set of islands about 60 miles (96 kilometers) offshore that include a nature preserve and a federal prison - early Tuesday. The U.S. hurricane center warned that Willa could bring 6 to 12 inches (15 to 30 centimeters) of rain - with up to 18 inches (45 centimeters) in some places - to parts of Jalisco, Nayarit and Sinaloa states, with flash flooding and landslides possible in mountainous areas.